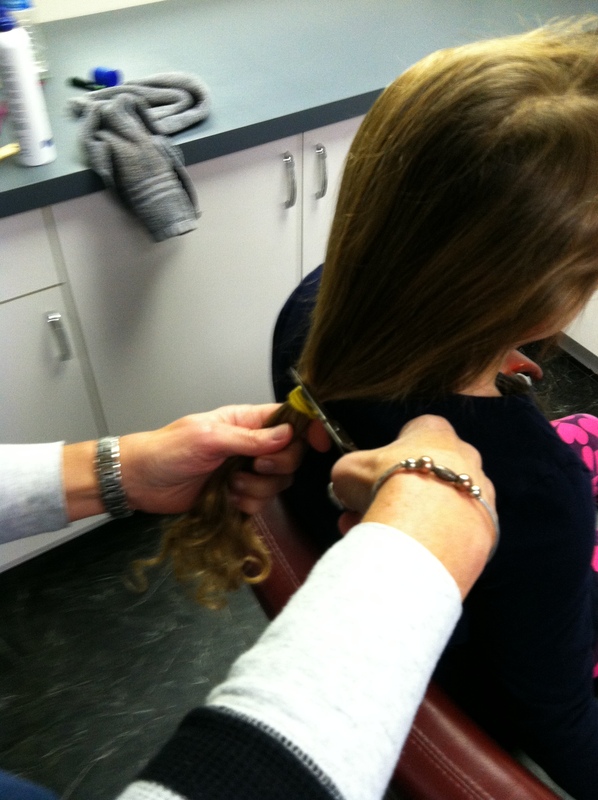 On Friday, Lil’C and I donated our hair to Locks of Love. It was a whirl wind experience that started with my friend Lisa agreeing on Wednesday to TRIM our hair Friday. On Thursday I mentioned this to my friend Kitty and she asked if we were going to donate. I didn’t think I was eligible with my color treated hair but I was wrong! That afternoon I chatted with the woman who owns our local health food store as she had donated two weeks ago. She explained how to go about it and told me how easy it was to donate. I then asked Lil’C what she thought. 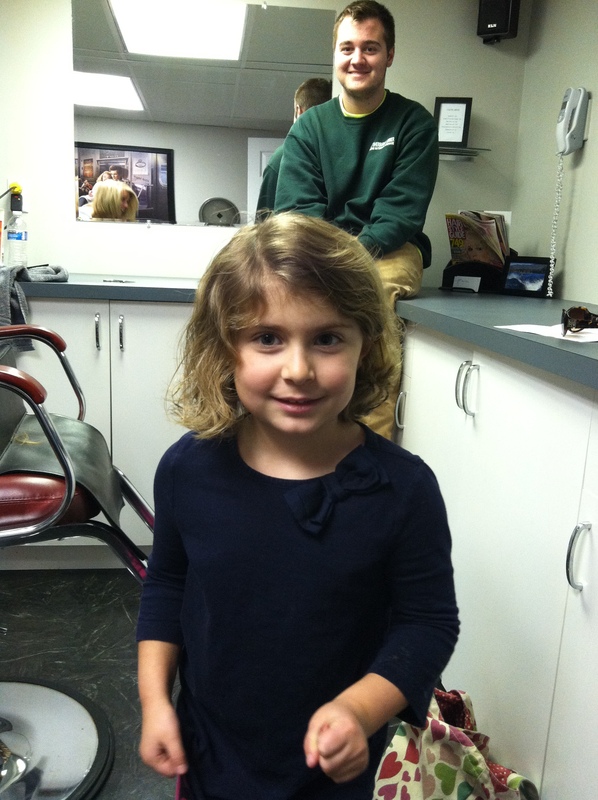 This child has been brought to tears for the past 2 years, every time I mentioned getting a hair cut. 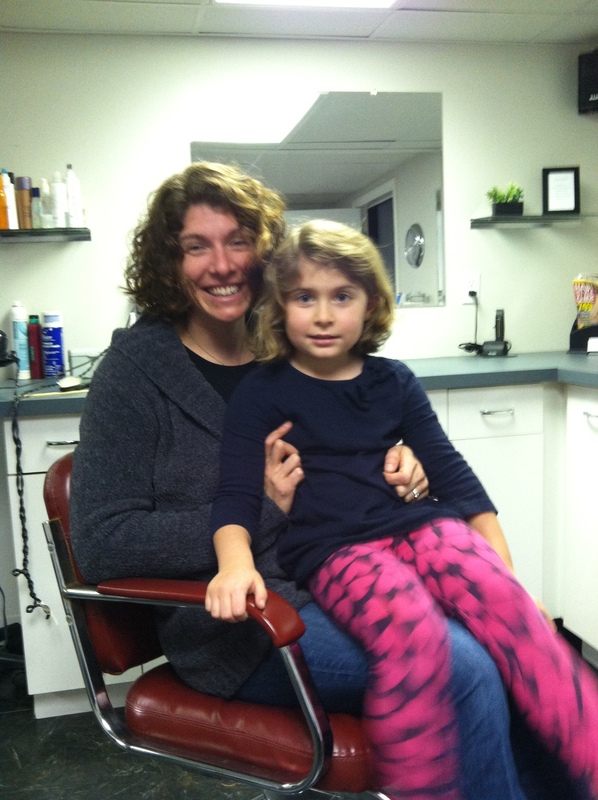 When I suggested donating and explained where the hair would go she said, “OK”. I was SHOCKED and waited for her to back out and she never did! I think my friend Lisa was the most nervous. 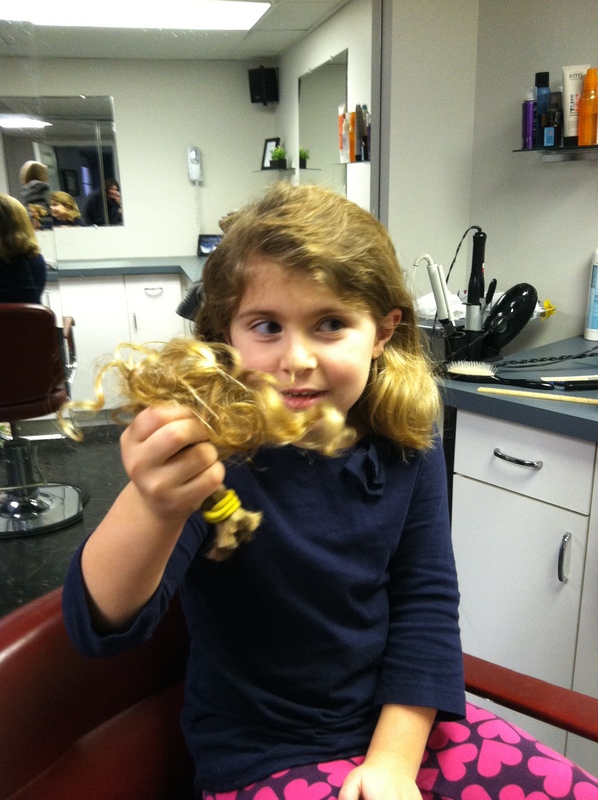 Cutting about 12 inches of my thick curly hair, pulled up in a ponytail, was a scary thing for her to do. She has never cut my hair before so I think that added to her anxiety. Lil’C was a bit anxious but jumped right into the chair and Lisa set to work. She did so WELL and I am so proud of her. Lisa cut off 12 inches of her hair as well. And she looks super cute with her new short hair. My hair is a bit shorter than I am use to (not sure it has ever been this short) but it is a nice change. I love that we were able to do this together and that our curly hair is now going to help a child. It was a great thing to do during this season of giving. FANTABULOUS, ladies! I was also told they can’t use treated hair! You both look real cute with your short doos. Can’t wait to see in person ! What an amazing gift to give! And what an fabulous lesson to teach your kids. I’m so proud of you both!